The study uses a type of brain imaging–diffusion tensor imaging–which can reveal the microscopic structures of the living brain. From the 428 males in the study, the researchers found that the connections in men’s minds ran more between the front and the back, within the same half of the brain. This may help to explain men’s advantage with motor and spatial skills over women since front-to-back connections help link perception with action. 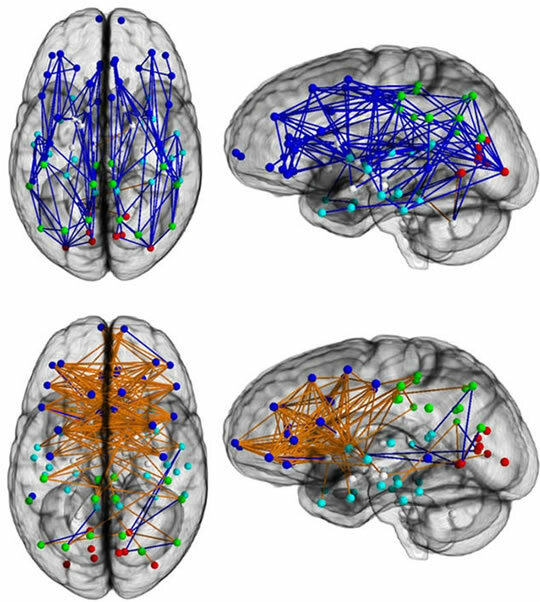 In the brains of the 521 females in the study, the researchers noted more overall connections between the two hemispheres of the brain. This may help explain women’s improved memory and social skills, the authors argue, since communication between the halves of the brain helps link intuition with analysis. The participants in the study were aged between 8 and 22-years old, as the researchers were looking for clues about how the brain develops.